Available 3/5/19. 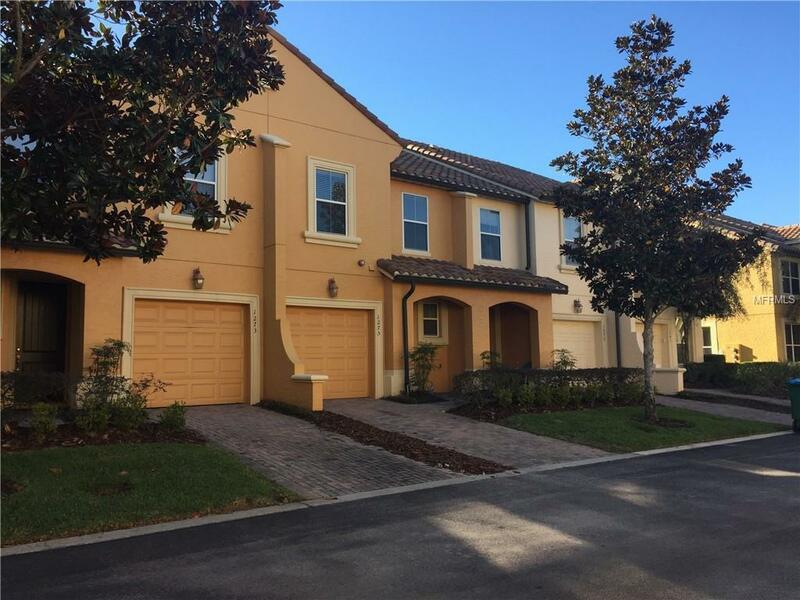 Immaculate and well maintained Mediterranean style Townhome available for in Montacino. This home features 3 bedrooms (all upstairs), 2 and half baths, a one car attached GARAGE, PRIVATE BALCONY and patio areas. Appointed with numerous upgrades, youll find WOOD floors throughout the downstairs, plush carpeting upstairs, GRANITE, STAINLESS STEEL APPLIANCES, including washer and dryer, designer 42 cabinets with crown molding & under cabinet lighting, and CEILING FANS. Montacino is a GATED waterfront community that offers a RESORT STYLE POOL and LAKE FRONT walking paths. In one of Central Floridas most convenient locations- just minutes from the RDV, Downtown Orlando, Winter Park and easy access to I-4. Available for immediate move in. Easy to see. Call/ Text to schedule your private showing today! Video Tour available upon request.